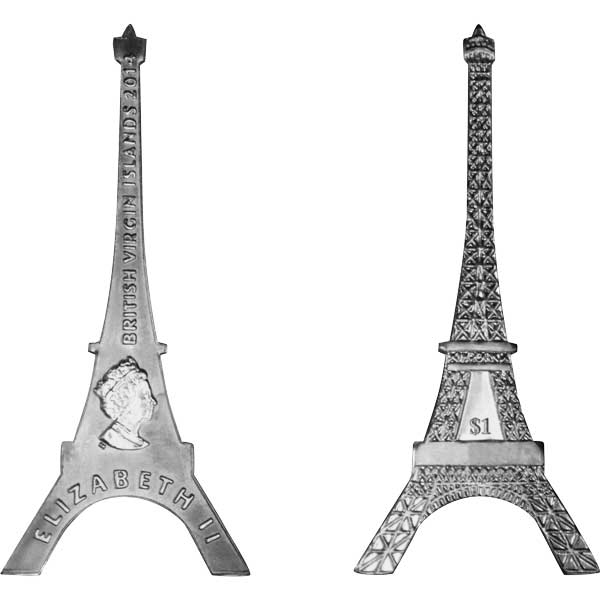 Pobjoy Mint is pleased to reveal the release of a special coin from the British Virgin Islands which commemorates the 125th Anniversary of the Construction of the Eiffel Tower. Named after the engineer Gustave Eiffel, the Eiffel Tower is an iron lattice tower located in Paris which was erected in 1889 as the entryway arch to the World's Fair. It is now one of the most recognised structures in the world. The Tower was the tallest man-made structure in the world from 1889 to 1930 and stands 1,063 feet/324 metres high. At the time, Eiffel mentioned that the Tower would symbolise "not only the art of the modern engineer, but also the century of Industry and Science in which we are living, and for which the way was prepared by the great scientific movement of the 18th Century and by the Revolution of 1789, to which this monument will be built as an expression of France’s gratitude". The major architectural work was completed at the end of March 1889. In all there are 18,038 pieces joined by two and a half million rivets. Eiffel had a permit for the Tower to stand for 20 years, and then it was to be taken apart. Due to the fact that the Tower showed to be important for communication purposes it was allowed to continue to stand after the permit had ended. 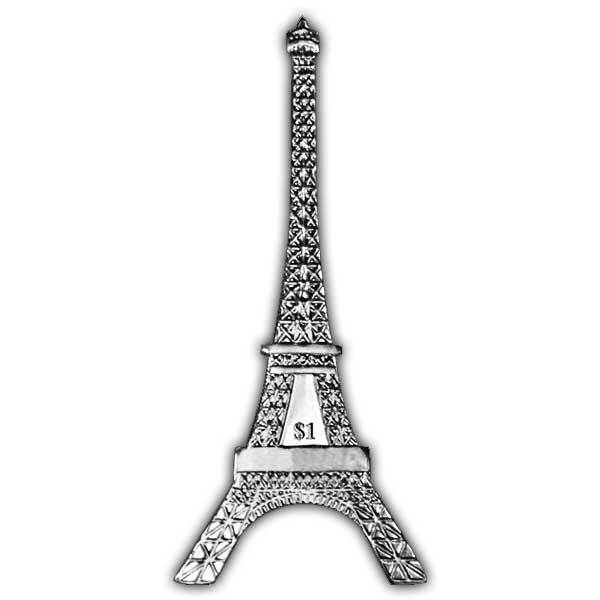 This unique coin has actually been created in the form of the Eiffel Tower-- a feat of engineering by itself-- revealing the intricate girders. The obverse of the piece carries an effigy of Her Majesty Queen Elizabeth II. Available in Proof Fine Silver Antique Finished and Nickel Silver, the coins are struck to the highest quality with each magnificently crafted Fine Silver coin struck 4 times to produce a superlative finish. Nice and unusual shape coin to be added to a coin collection. Perfect, well packed. To recommend. Bin sehr zufrieden , es ist eine schöne Darstellung . Steht bei mir in der Schrankwand und macht einen guten optischen Eindruck. Lieferung hat gut geklappt , bin mit dem Service zufrieden. Verry gut ! Thanks. seems all are in best condition and work easily and safly. Transaction was quick and east.